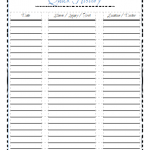 All of my life, my mom had a “medical notebook” where she recorded her medications, asthma attacks, allergies and more. She recorded the time, amount, date, location, everything. It drove me insane. Sorry Mom, but it’s true. 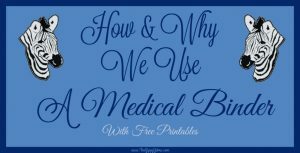 As I have gotten older, have had children and battled multiple phantom symptoms, chronic illnesses, uneducated doctors and unique injuries, I have discovered just how valuable a medical binder can be, both for my sanity and for medical personnel reference. 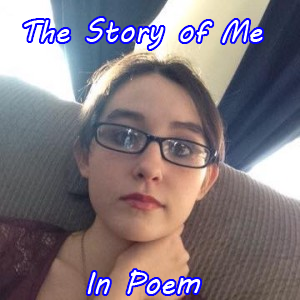 I don’t know about you, but when my 16 year old was laying in the ER unable to talk, swallow, hold up her own head or use her extremities, the date of her last doctor’s appointment seems to completely evade me. 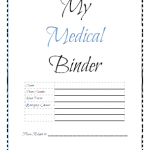 Ideally, now I can open my medical binder and provide exactly the information they ask for. 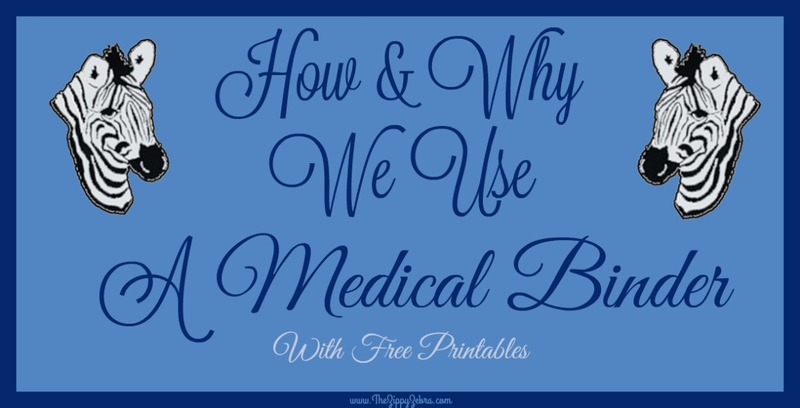 There have even been times the medical staff have simply taken the binder and gathered the info they needed so that I could stay and support my daughter and answer the truly important questions while someone recorded the information I had ready to go in the binder. 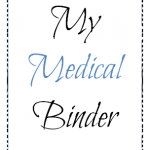 In January 2016, I FINALLY made a haphazard binder with a messy handwritten doctor, allergy, diagnosis and medication list and inserted the ER, doctor’s visit and medicine forms in the back, as we received them. 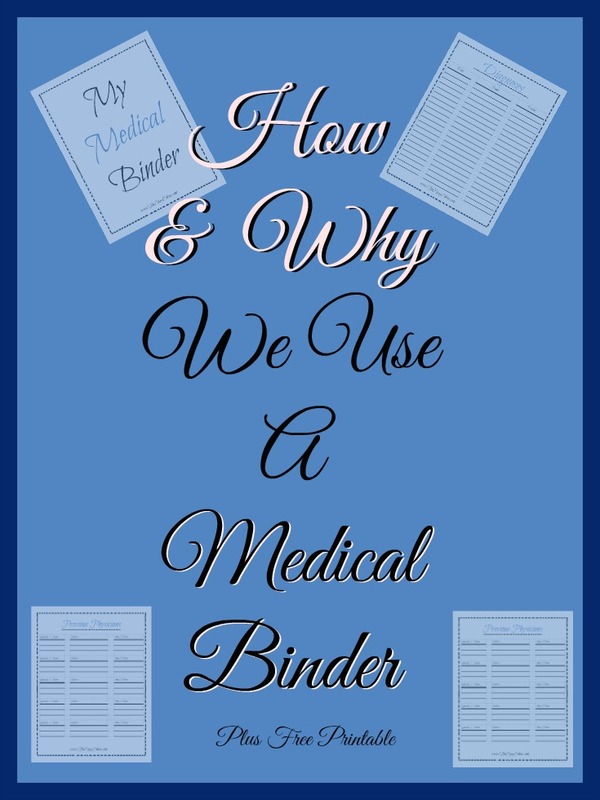 This is what I was handing the ER staff, and it was rather embarrassing, especially when they would ask if they could just review the binder for more information and to study a bit because they had never treated someone with my daughter’s syndromes. Very often they would return with more questions, comments and ideas, which to me was great, because it meant they cared and were learning. On the other hand, it made me feel incompetent because it wasn’t very “organized”, especially the haphazard, hand written notes of her daily problems and issues. 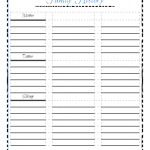 When other parents began asking me how I put my binder together and if I would share it with them, I decided to stop procrastinating and create some fun printables to encourage me and others to fill it out, stick with it and be willing to share it. I gave myself a January 3rd 2017 deadline, and I am thrilled to say it is ready! 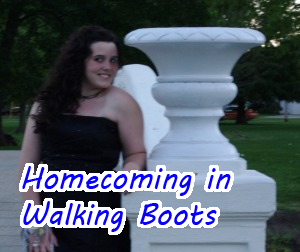 You can find the free download here. 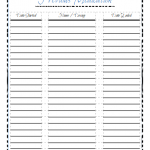 We will send you the pdf printable in an email format. It’s free, but here is a peek at how they turned out. 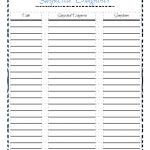 They are trimmed in our zebra design, accented with soft blue titles and can be placed in a report port folio or hole punched and placed in an everyday binder. 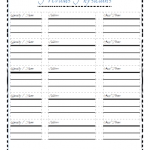 I have also found it useful for school records, 504/IEPS and for documenting school absences and illnesses. 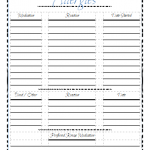 We even include handwritten doctors notes, hospital bracelets and other small info, by stapling it to a full size sheet and recording important info. 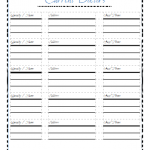 I did this when I found that we would have school absences without a note because we were having a procedure and no one there could write a “absence” letter. I found my school accepted them as proof of appointments, I mean who can fake a hospital bracelet?, and they help me keep an accurate record of when procedures were run. I DO NOT include hospital bills, social security numbers or even our insurance numbers; those are kept in my wallet and in a separate binder at home. 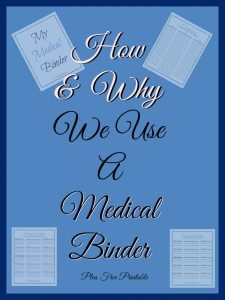 NOTE: I have heard a few individuals mention that they get a funny look when they pull out a binder for appointments or at the hospital. Thankfully, we have never experienced this, but I usually pull it out and use it as a reference when they ask me a question: phone number, doctor, fax number, date, diagnosis, etc… and only offer it when it appears it would be helpful to hand it over. Otherwise, I just refer to it so I don’t have to think so hard when filling out forms and answering questions. To me, it is more important to have accurate information and everything I need with me, than it is to worry about what some random stranger, whom I will probably only see one time, thinks. 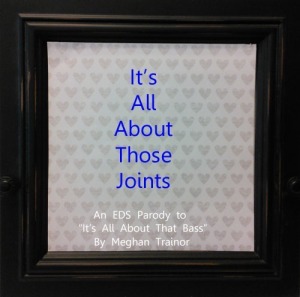 Of course, it helps that our main ERs have a big note, in both her physical and digital files, mentioning she is fragile and that they should have physical contact as little as possible to reduce dislocations and Mast Cell reactions. 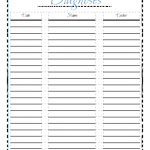 I hope this helps you pull together your own binder, whether it be for your personal use, to share with doctors or just to organize it all for later reference. 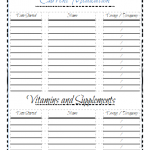 Please let me know what you think, what we should add and how you have found your medical binder to be helpful. 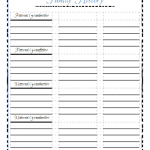 Remember you can sign up to receive the printable here. Remember to pin this post for later, share it with friends and follow us on Pinterest, Facebook and soon to be shared Instagram.